Once the Fae and mortal worlds lived side by side, then Queen Morgana became unhappy with a mortal hero and closed the passage between the worlds. For many years the worlds of man and fae could be breached only in dreams or where dreams lived in the daylight: Renaissance Faires! Then the barriers were opened again and the two worlds became as one—that was when things got interesting! Now gods and ogres, jinn and demons cross into the world of mortal man with alarming regularity. In this brave new world, a farmer makes a wish and his deal with a Leprechaun is not what he bargained for; an Englishman attends a party and accepts a terrible gift; a Manhattan bar bouncer throws the wrong little folk out of his pub and an actuary falls in love with a beautiful jinn princess. 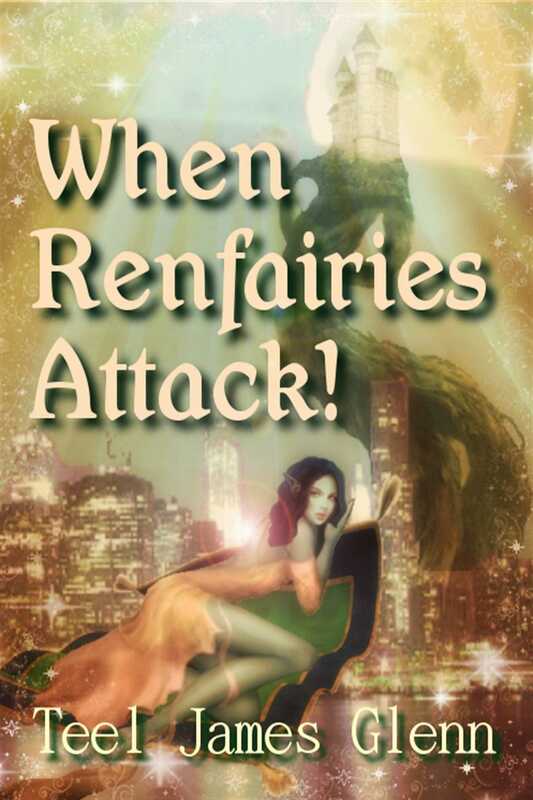 Humans beware, when Renfairies attack, danger follows!